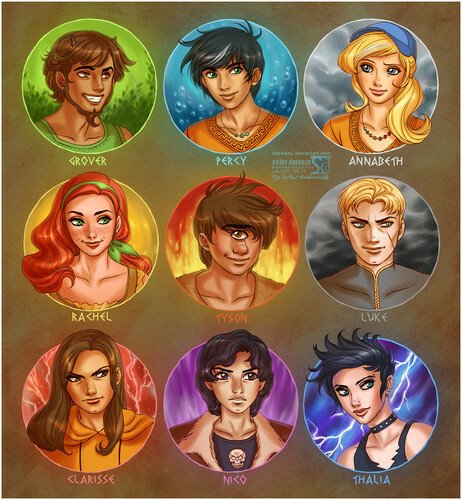 Percy Jackson & Others. awesome cartoonist! look on deviantart. HD Wallpaper and background images in the Helden des Olymp club tagged: the heroes of olympus percy jackson the lost hero annabeth new character. ikr, but I like all of them but Thalia I like to think she has longer hair. Nico and Thalia are weird. They do NOT look right. I like clarrise, grover, percy, and Annabeth, though i always picture clarrise's face in snear. grover looks like a vampire! and tyson's so handsome! Almost exactly how I imagined them!